Each winter, we prepare our homes and cars to withstand the weather ahead—but we rarely give our skin the same courtesy. Our punishing Ontario winters are not to be taken lightly, especially when it comes to your skin. As your body’s sole line of defense against the elements, we think it just makes sense to “winterize” your skin as you would your home. And we think our Beauty Booster is the perfect solution. Let’s consider what happens to skin in the winter time. The biggest concern we hear from skincare patients is that they experience dryness, often to an uncomfortable or even painful extent. Harsh winds, lower humidity, indoor heating, and long sleeves can all contribute to dryness, itchiness, flaking, cracking, and chapping. Dry skin also has a tendency to look older, as lines and wrinkles become more pronounced (imagine a raisin) and skin becomes less resilient. While hydrating the skin with topical products can help ease these symptoms, winter’s harshness often calls for something stronger. Enter Beauty Booster microneedling—our favorite way to deliver nourishing active ingredients beneath the surface to bring out your skin’s best (no matter the weather). Beauty Booster is a unique option for enlivening skin from the inside out. To get the “boost,” we combine a popular procedure—microneedling—with a special injectable treatment called TEOSYAL® Redensity [I]. Unlike facial fillers, which Oakville, Burlington, and other Ontario men and women use to physically fill in their wrinkles, Redensity provides skin with a “shot” of deep nourishment where it can be used most effectively. Redensity contains a special blend of hyaluronic acid, amino acids, antioxidants, and vitamins that are clinically recognized to have beneficial properties. A Beauty Booster treatment works by delivering the serum just beneath skin’s surface with a series of brief needle sticks. By combining a local anesthetic with the device’s vacuum tip, discomfort is greatly reduced. The Beauty Booster device penetrates skin at a precise depth for a controlled treatment that’s proven to be as safe as it is effective. The results of your Beauty Booster treatment—improved texture, enhanced brightness, and fewer lines—can be quite long-lasting, especially with regular maintenance treatments. 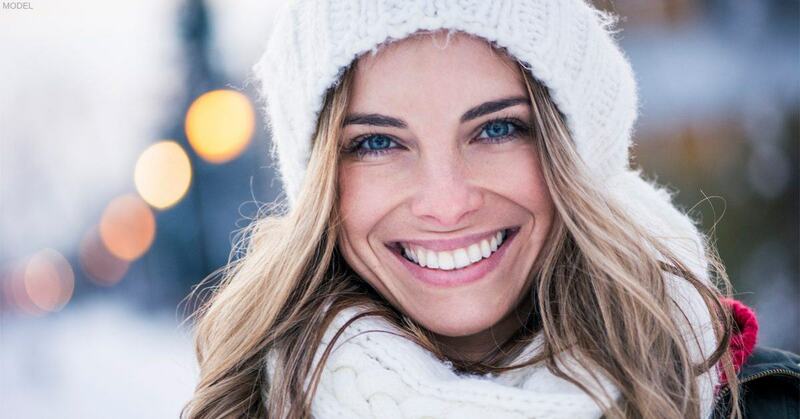 If you’re curious about what Beauty Booster can do for you, winter is a great time to try it out before deciding to adopt it into your regular routine. One of the most appealing aspects of Beauty Booster is its lack of downtime—especially if you have your treatment during the busy holiday season! While your face is likely to be sore and mildly inflamed (as well as temporarily numb until the anesthetic wears away), most patients feel confident in returning to their normal daily activities as soon as they leave the office. We love Beauty Booster, but it’s only 1 option out of many for improving your skin. When you visit us for a complimentary consultation, our nurse manager or Dr. Weiglein will work with you to customize a plan that meets your specific needs. We’re here to help you meet your cosmetic goals. To find out more, request a consultation online or call our office at (905) 631-6288.